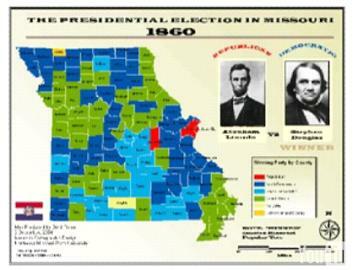 Clark Mountain Musings put together a great flash presentation on Missouri Presidential Election results by county. It is interesting to see how the traditionally swing state Missouri has developed over the years into what it is today. The last two elections are telling for the Show Me State. Turn up the volume, you’ll be glad you did! You can view this flash show at Clark Mountain Musings.